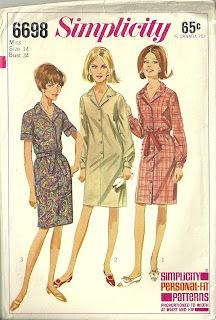 From the Collection: Trendsetters 'R' Us! The Roommate & I don't really consider ourselves trendsetters, but I have to share with you some of the items from the latest West Elm catalog, which is about South Africa. However, much of what they're showing is from Central Africa (specifically the Congo, Zaire region), and some of it's Masai, which is Kenya (or East Africa). These places are thousands of miles apart, and the tribes are even further apart in terms of language! But I guess expecting corporate America to know about geography is expecting too much? In the West Elm catalog, they've used kuba cloth extensively and a little bit of raffia velvet (as decoration). But that's not fair! 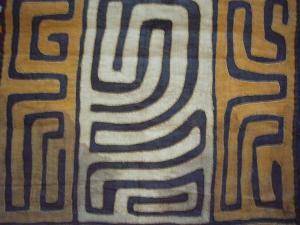 We knew about it first...when we went to West Africa in 2006, it was on our list of textiles to bring back. One thing I will give them, though, is they found batik kuba...which we looked for, but never found on our trip. So here are a few things from our collection & some West Elm items. Bad photo--apologies; raffia velvet used as giant coasters? If you'd like to know more about the highly graphic artwork the Kuba & Shoowa peoples create with raffia (not exactly a supple, easy material to work with! ), check out the (previously mentioned) Weaving Abstraction exhibit which was at the Textile Museum in DC in 2011. 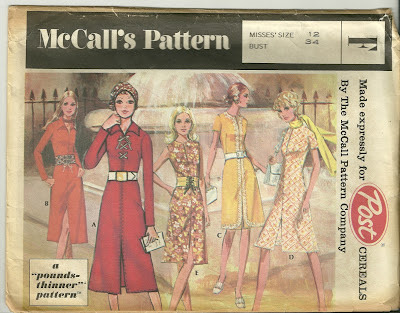 Here's the McCall's pounds-thinner pattern that my mom sent a while back. I mentioned it in my last post, about vintage sewing patterns. And I've made it up in some of the fabric I got in West Africa, probably Ghana or Burkina Faso. It's supposed to look like strip-woven Kente (typical of Ghana); go to that page to see the real thing (strips woven on a narrow loom, then sewn together to form a delightful pattern). The underside of the collar. This is fairly cheap cotton, very thin & not at all drapy, and I was worrying about wearing it without a slip. Then I remembered I had a pretty burgundy silk slip from Wintersilks, which almost matched the terracotta red in the cotton. When I tried on the dress, almost done, yesterday, I had to take off 2.5" from the slip. So I did that, and re-hemmed the slip. I used the silk I cut off to hem the bottom & the sleeves. There was so little fabric, I couldn't get the underside of the collar out of the kente print and had to use other West African wax print fabric. Take it to the selvage! I really made an effort to show the selvage of the fabric because we noticed that a lot in West Africa. Rather than hemming, clothes are cut so the selvage is the hem. However, this dress has quite a curved hem, so I ended up losing more than I wanted. BTW, it's got to be the best looking zipper I've ever installed! I'll give a shout-out to Allison @ Bits of Thread in DC for her expert tutelage. You may have seen Tilly's recent post about Vintage Patterns, and I was inspired to get out a few of mine (I think I have about 30, but I've only purchased 2 of them; the rest I'm fortunate enough to have received from my mom. Lucky, huh? 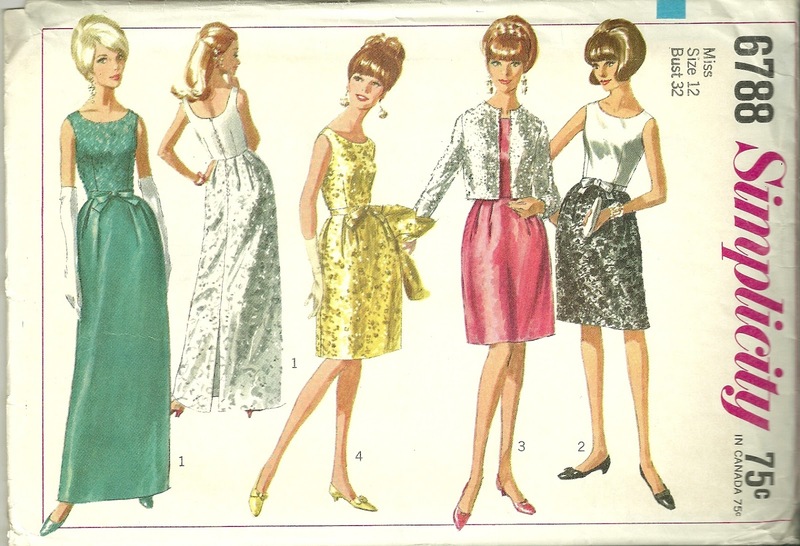 I also had the desire for a new summer dress. So I got out this one from McCall's (1971), which my mom got for free by sending in boxtops to Post Cereals. 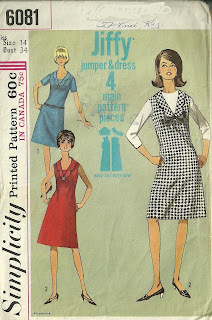 I'm putting aside the corduroy dress that Allison @ Bits of Thread helped me with, and the Starlet Suit, too, for a bit. I went downstairs & got out some of my West African fabric stash to try to match up available yardage w/ fabric requirements. Hopefully you'll see me modelling this one very soon! This is what my life is like...I go down to the basement to look for something (something not interesting) and head over to the bookshelves where something much more interesting catches my eye. I proceed to bring those up, and never get the thing I was looking for (can't remember what it was right now). But I think you'll agree that these handmade shoes from India are worth forgetting about everything else! Handmade shoes are a rarity in my world (though a fellow-bloger, Zo, who takes Me Made May very seriously has tried it), so they seem extra special when I do come across them. I got these in Dubai, in the old (Bur Dubai) souq. An Indian craftsman there turned these out regularly. The shoe design is fairly simple, so it's the embroidery & decoration that caught my eye. They are all little-girl sized. I could have had some made for me, but the little ones were irresistible; I'd probably never be able to bring myself to wear them if they did fit me! I find the little details & the perfect stitches fascinating. For example, look at the backs of the shoes! Just as pretty as the toes. I hope you enjoy these photos. It has been a bit nuts with me working on small projects and traveling (where do you all find so much time to produce? ), but last night I finally got to clipping, notching, favoring & pressing and you can see the result here. Mostly I was inspired by Sunni's post, where she started way after me & was almost caught up. I thought, "What am I waiting for?" I'll tell you what I was waiting for...I was afraid to do the clipping & notching! Because then it's final and there's no going back! Sunni has also turned me on to cotton bouclé, which I didn't even know existed! I'm pleased. I think the collar looks great. I thoroughly recommend the Starlet Suit class. Gertie is an excellent teacher & her giggle is wonderful, too. I am learning so much, mostly having words explained that I knew of, but didn't understand (favoring a seam is one example). Not to mention lots of skills & techniques. It's also been an excuse for me to invest in some new notions. I got some new scissors last week & just love them: control & power, all in my little Mundials! BTW, just for fun, a Starlet-Suit-Search on Google Images turned up lots of fun colors & ideas! A friend here at work, (she's one of our international students), is from Mali. She asked her sister to have something made for me...and I thought you'd like to see it. Her sister has never met me (never even seen me) and I can't believe how well this jacket fits! 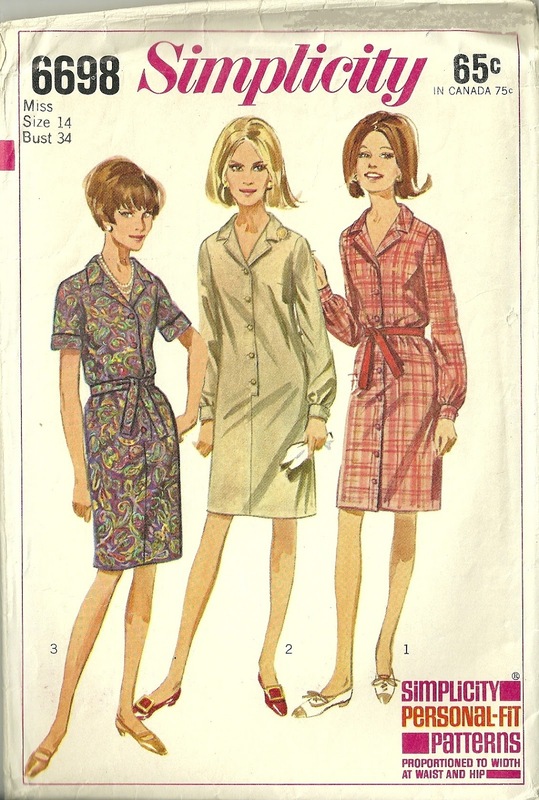 I believe it's quite flattering, too, and am thinking I might need similar coatdresses to wear over skirts. See what you think!